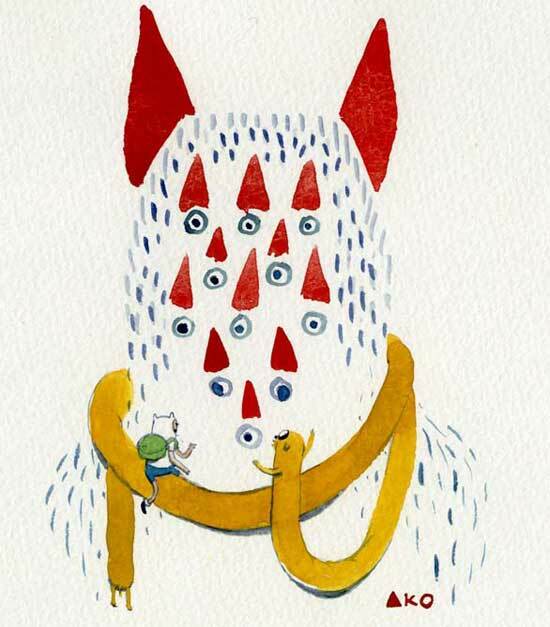 This painter, sculptor, and textile artist, Ako Castuera, is based in Los Angeles where she works as a writer/storyboard artist on the animated television show, Adventure Time. 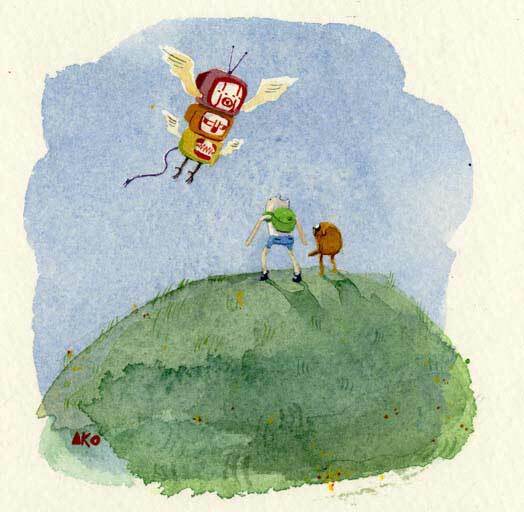 Ako has turned her focus to work on paper with a variety of media, primarily using watercolor and gouache. The works continue her ongoing interest in land, the life within it, and the life it sustains. Her work is colorful and she likes to have the freedom to improvise and change. The materials she uses are an important part of that. Castuera tries to go for tools and paints that seem to have their own life and finds materials that she gets along with. Ako lets their characteristics influence her choices while she is working.The themes are often about the relationship between humans and our home planet. "Suburban tracts sprawl over hills and are at once picturesque, parasitic, and fragile. They coexist with dinosaur like animal forms that suggest prehistoric life," she says. "Dinosaurs have always inspired awe and fed fantasies of the past. Their extinction forces contemplation of the future, of what's in store for the land, animals, and humans all."